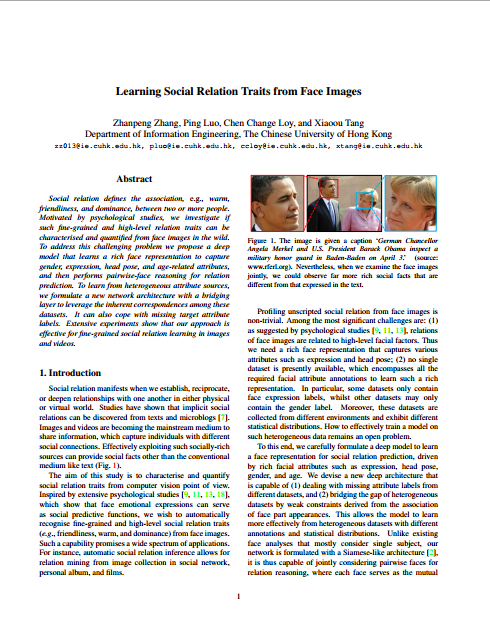 Social relation defines the association, e.g., warm, friendliness, and dominance, between two or more people. 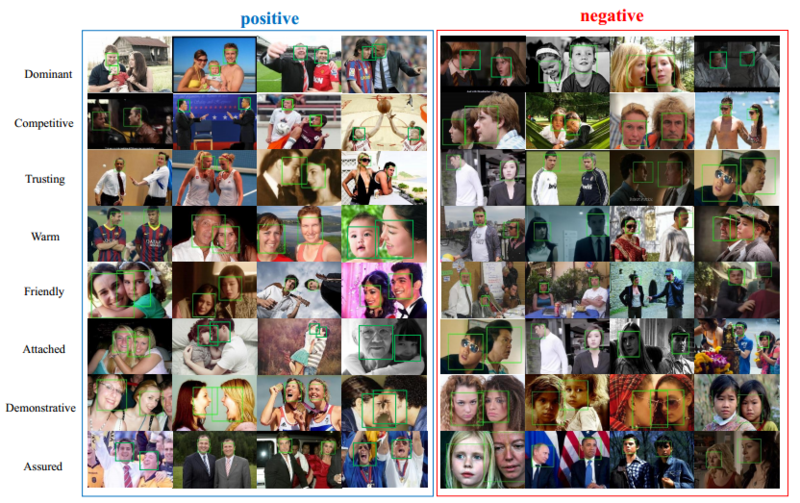 Motivated by psychological studies, we investigate if such fine-grained and high-level relation traits can be characterised and quantified from face images in the wild. 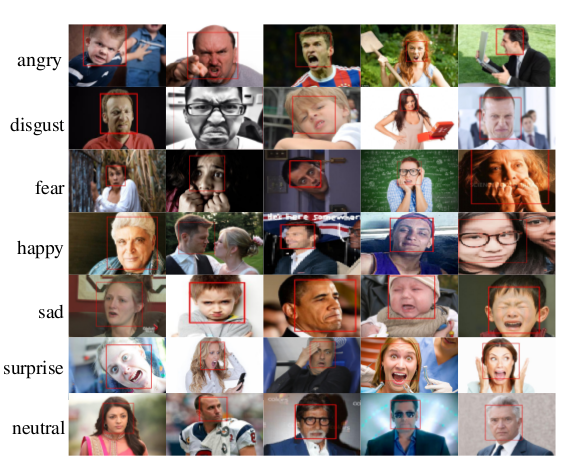 To address this challenging problem we propose a deep model that learns a rich face representation to capture gender, expression, head pose, and age-related attributes, and then performs pairwise-face reasoning for relation prediction. To learn from heterogeneous attribute sources, we formulate a new network architecture with a bridging layer to leverage the inherent correspondences among these datasets. It can also cope with missing target attribute labels. 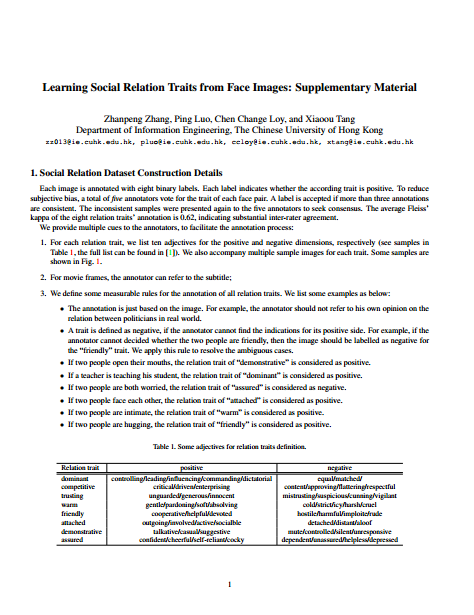 Extensive experiments show that our approach is effective for fine-grained social relation learning in images and videos.